Ready to launch a high-impact marketing program? Partner with University Marketing and Communications. Our creative work captures the hearts and minds of audiences worldwide. And it’s award-winning, too. Strategy is the backbone of effective marketing. It allows us to focus our resources on the most important opportunities. 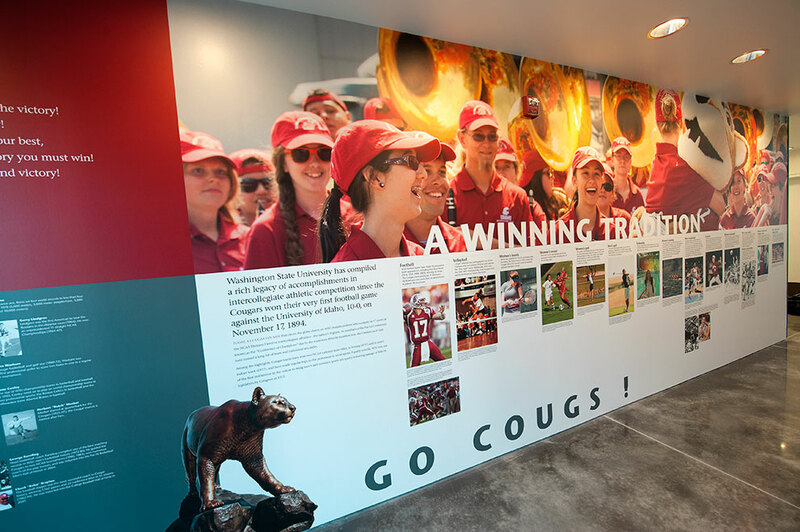 It shows us the most direct way to create sustainable advantage for the WSU brand. University Marketing and Communications coordinates studies to identify marketing opportunities and pitfalls. The insights we gain help us fine-tune campaigns to achieve great results. University Marketing and Communications creates compelling websites that deliver the messages you want and the information readers seek. Email is the #1 activity on smartphones and tablets, according to Pew Research. 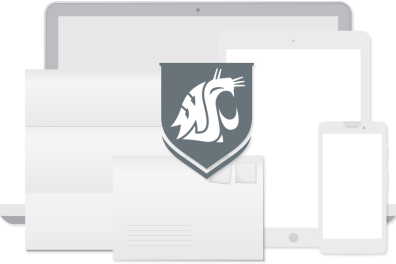 University Marketing and Communications writes and designs emails that captivate readers on the full range of devices. Want your print publications to get noticed, read, and remembered? We’ll work with you to strategically plan print pieces that build awareness of your initiatives and shape audience attitudes. University Marketing and Communications can now print banners up to 62” wide—and as long as your imagination will stretch. It looks like this is a web request and that a WSU email address was entered. Please submit a ticket through service desk instead. In the year ahead University Marketing and Communications will team with our WSU colleagues to forge a strategic marketing plan—the blueprint for university-wide messaging. This plan will unite WSU communicators in a powerful voice that audiences recognize and remember. Order business cards, stationery, copy and print services, posters and banners, email messages, mailing supplies, and more.